Ignite your taste for the tropics! 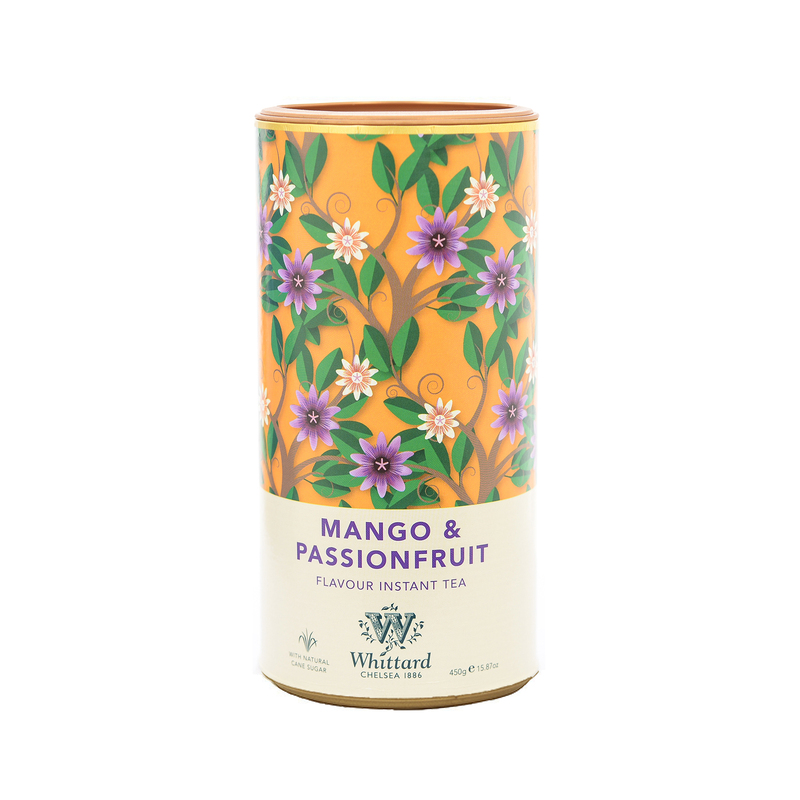 This instant tea is delicious drunk hot or cold and contains the succulent flavours of mango and passionfruit. 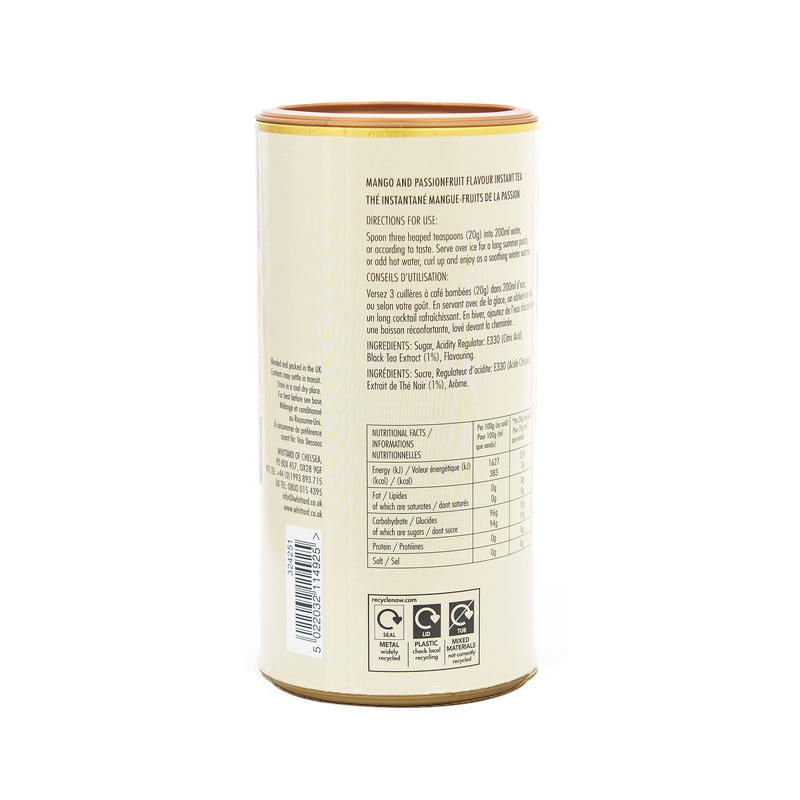 Raw Cane Sugar, Citric Acid, Black Tea Extract (1.4%), Natural Flavouring. I've tried a few of the different teas. However this one is my favourite by far. You can drink hot or cold. I'd highly recommend. This tea blend is amazing for the summer and specially for iced tea. Personally I perfer this iced rather than as hot tea but it is indeed my favorite iced tea. a wonderful mixture of flavours give this a lovely all round fruit flavour. As I cannot find peach - this will do nicely thank you! This is my favourite instant tea. It has a unique flavour and is very refreshing.